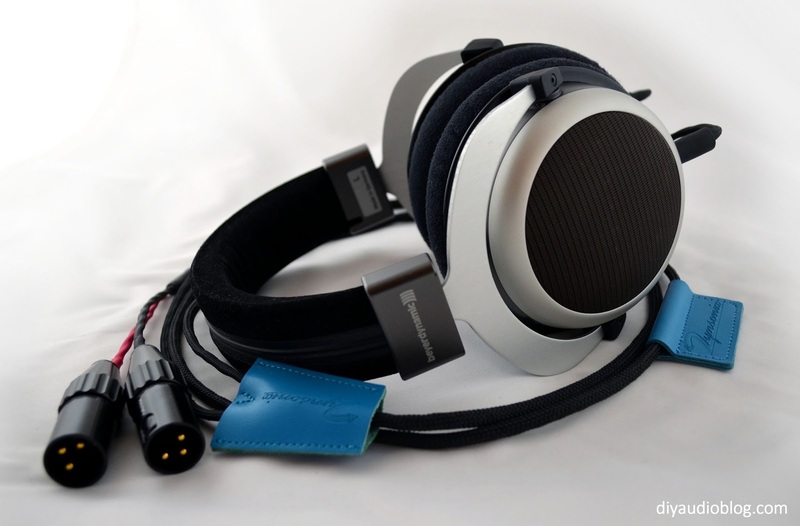 Beyerdynamic is a family-owned audio equipment manufacturer based in Germany that produces headphones, microphones and wireless audio systems. The headphones produced by Beyer feature great build quality and the sound produced by their top-tier headphones is something the discerning audiophile can really appreciate. The DT770, DT880 and DT990 models are ideal choices for the listener on a budget, and if one likes what they hear, there are the pricier Tesla-based models that Beyer introduced over the last four or so years: the T1, T5p, T50p, T90 and T70. The Tesla nomenclature comes from the redesigned transducers that achieve efficiency values of over one Tesla, which is the unit of measurement for magnetic flux density. This provides the listener with nearly double the volume at the same input level as typical headphones. Also unique to the Tesla line are the drivers which are angled toward the listeners ear. Today I'll be recabling the luxurious Beyer T5p. 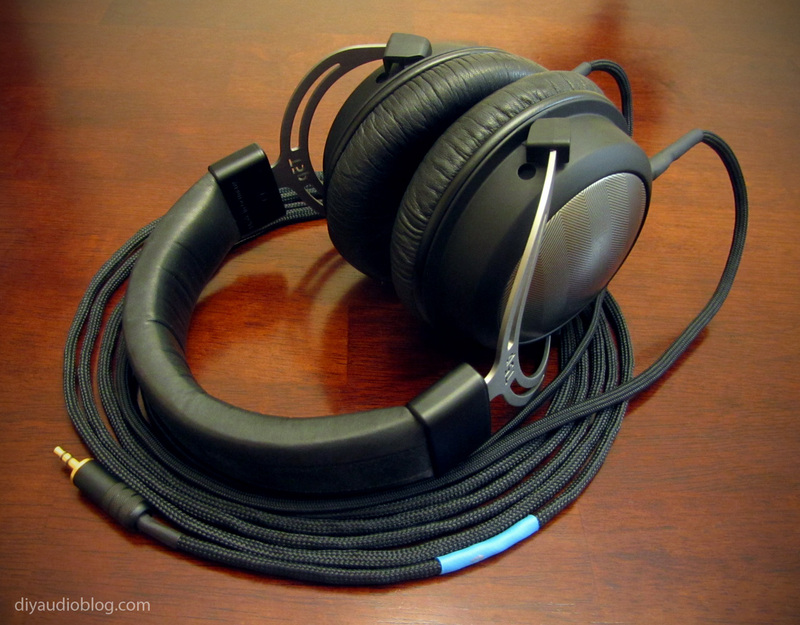 The T5p is effectively the mobile version of the T1 (The "p" standing for portable) and with it comes a few changes, including a short 4 foot cord and a 32 ohm impedance which can be driven easily from sources like the iPhone / iPod and other portable music players, and leather pads to help attenuate outside noise. 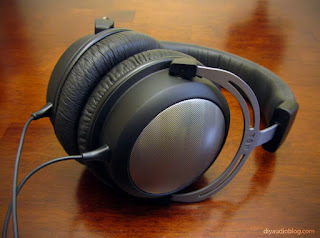 Something I've found with some Beyer headphones (especially the DT880 / 250ohm) is the upper-midrange can cause me ear fatigue over long listening sessions. This certainly doesn't affect everyone, but a few other people with sensitive ears have mentioned the same finding to me. I've found the best remedy for this is to recable the headphone with Cardas enameled copper wire, which effectively warms up the sound signature and subtly rolls off those frequencies which I personally find fatiguing. 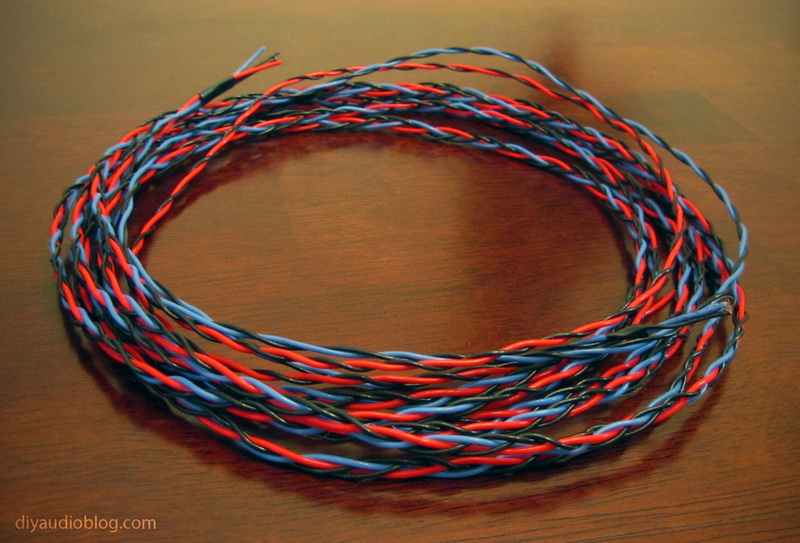 The first step is to braid the Cardas copper wire in a litz-braid. I've chosen three different colors in this case, red for right signal, blue for left signal and black for ground. 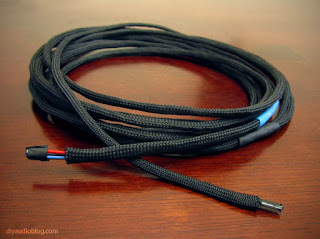 The cable is then sleeved with the soft black nylon multifilament sleeving. You'll notice below that electrical tape is over the ends of the wire, this prevents the small conductors from snagging the sleeving while they are fed through by hand. 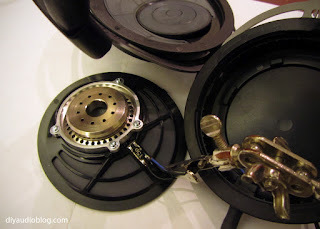 Once the leather earpad and sealed ring are removed, that gives access to the driver housing. Note the angled driver in the photo below. Take a look below at the beautifully machined Tesla driver housing, I've never seen anything like it. The existing wire and solder is removed. This is done using as low a temperature as possible as to not damage the delicate drivers. 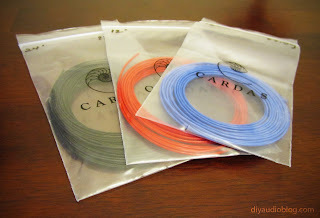 Next the Cardas wire is prepped. 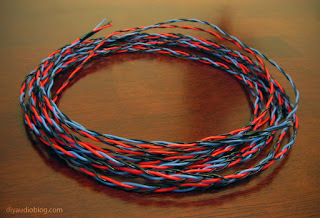 The Cardas wire is enameled, so it has to be either dipped in a solder pot or heated up with solder on the tip on an iron to tin it and remove the enamel. Once appropriately tinned, it is soldered in place. Once the wire is soldered in place, a stain relief system and adhesive is used to keep the wires in place (and helps prevent the tugged cable from yanking on the solder tabs). The headphone is then put back together with extra attention paid to the sealed ring (the seal is very important to the sound). Below is the completed product. The T5p has a incredibly clear, detailed and coherent sound signature. Color me impressed. 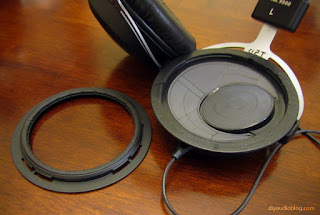 I hope you enjoyed this post, if you'd like to have your headphones recabled, please contact Zynsonix for a quote. Since Beyerdynamic T1, T5p, T70 and T90 are all quite similar, the same mods /recables can be performed on all of them. 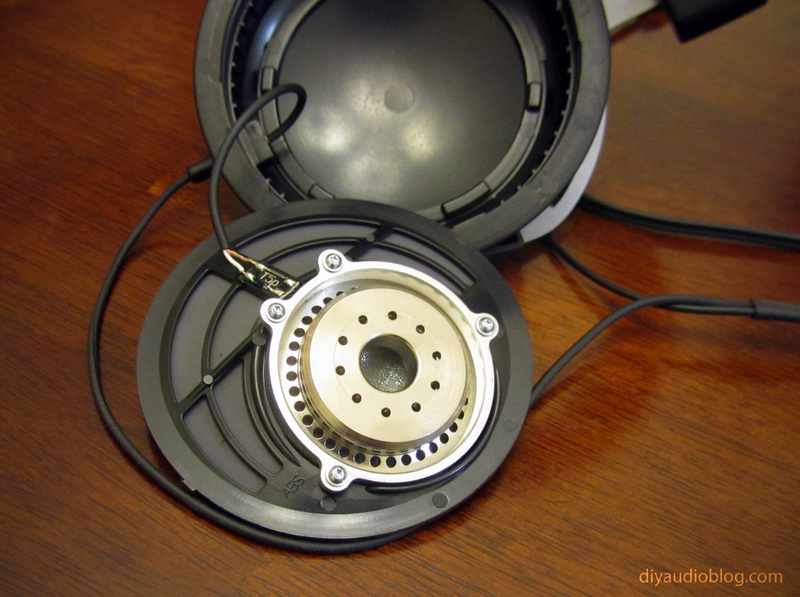 Here is a Beyer T90 that has been recabled for balanced listening with dual XLRs. Before I start my biggest worry is a botched disassembly, how exactly did you open the cups? I personally use a curved envelope opener with a metal tip. Could you give some information concerning the Cardas copper wire? I'm from Germany and i think it's not possible to buy them here. PartsConnexion (to which I have no affiliation) offers Cardas wire. As far as I know they ship internationally.